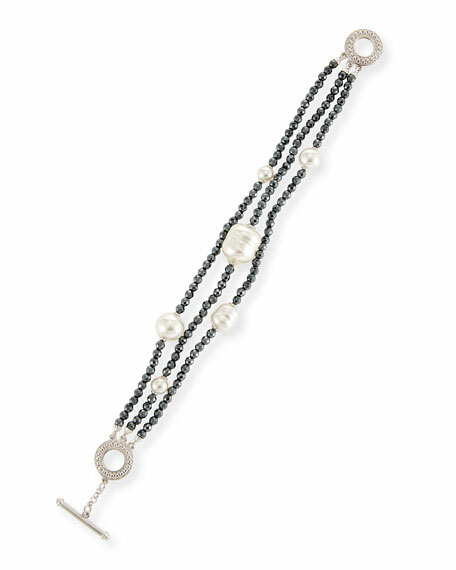 Majorica baroque white pearl and hematite bracelet. Polished sterling silver hardware and circle stations. Multi-size handcrafted organic manmade pearls. Small semi-round dark hematite beads. For in-store inquiries, use sku #2546031.